Get ready for a new challenge! In the latest update, League of Angels is introducing a new system which will enable players to obtain new equipment and increase their battle rating by leaps and bounds! The higher the Divine Realm Level, the better the equipment! Come and learn more about it! 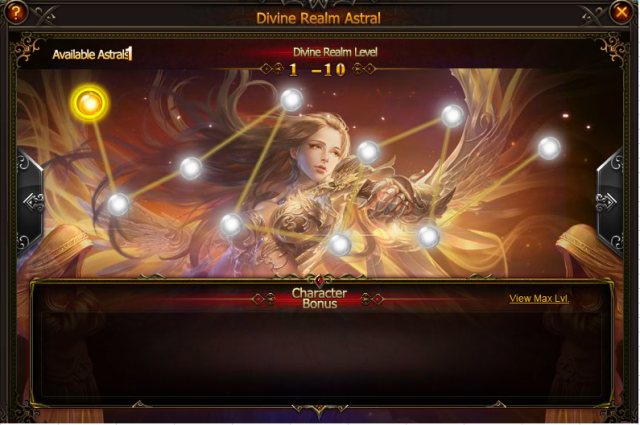 The Divine Realm Level will be shown below the character level. After completing tasks in World Tree and activating the Divine Realm Astrals in City Features, your battle rating will soar up and up! No pain, no gain. By completing tasks in World Tree, players can earn lots of resources and materials which will be used to synth a new set of equipment for their heroes. After completing tasks, activate the Divine Realm Astrals to receive character bonuses! The higher the Divine Realm Level, the better the rewards. 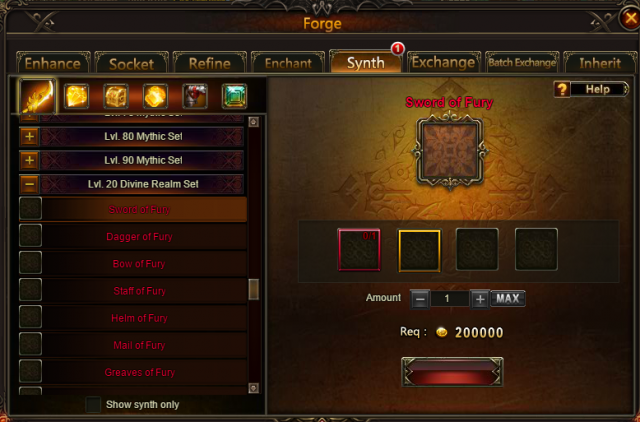 With the materials obtained from World Tree, players can now synth a brand new set of equipment, in the same way as the previous set. We hope all players will enjoy the new system and stay tune for even more great content coming soon to one of the most popular FREE to play MMORPG!